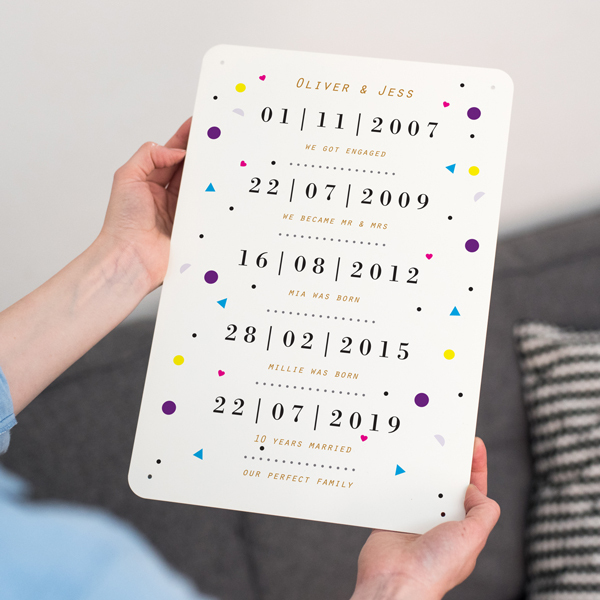 Our Personalised Couples Special Dates Metal Print makes a unique personalised anniversary gift, perfect for a 10th (tin) anniversary. 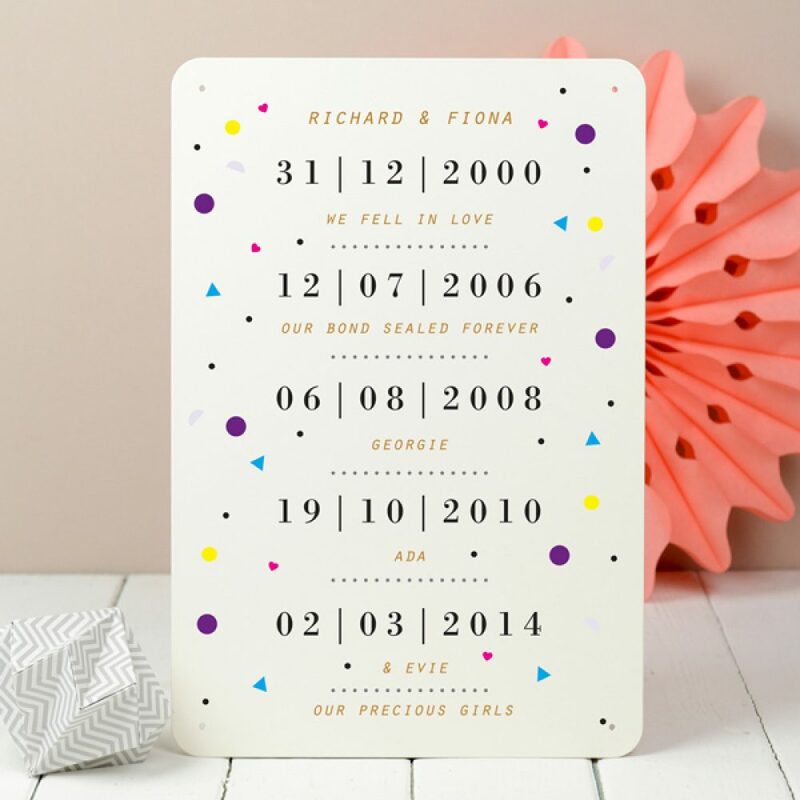 Celebrate relationship milestones with this beautiful Personalised Couples Special Dates Metal Print. 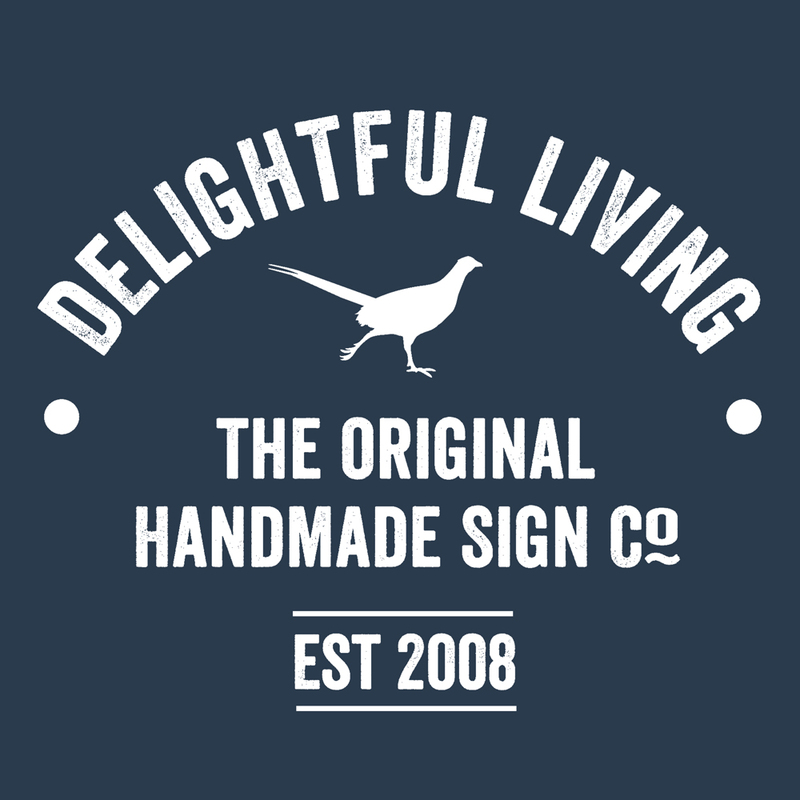 The design is printed onto smooth, off-white, powder coated metal. 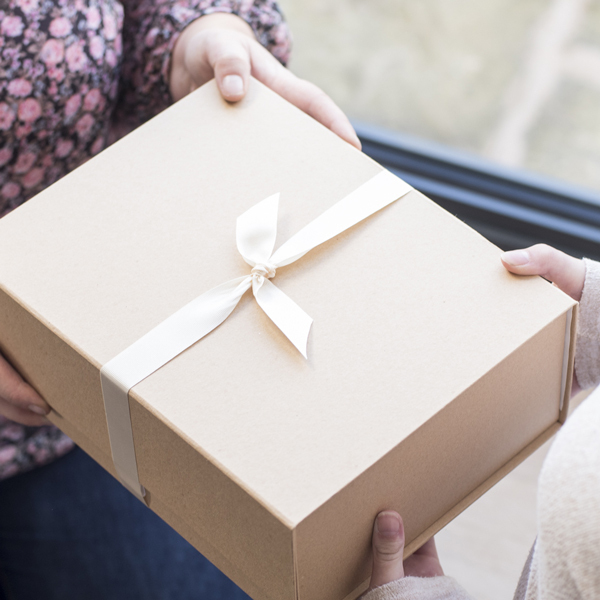 With a small hole in each corner, this print can be displayed in a number of different ways – propped on a shelf, hung with ribbon or fixed to a wall. The Personalised Couples Special Dates Metal Print is designed in a bright and fun style against a classic font. All the dates and wording on this print are personalised. 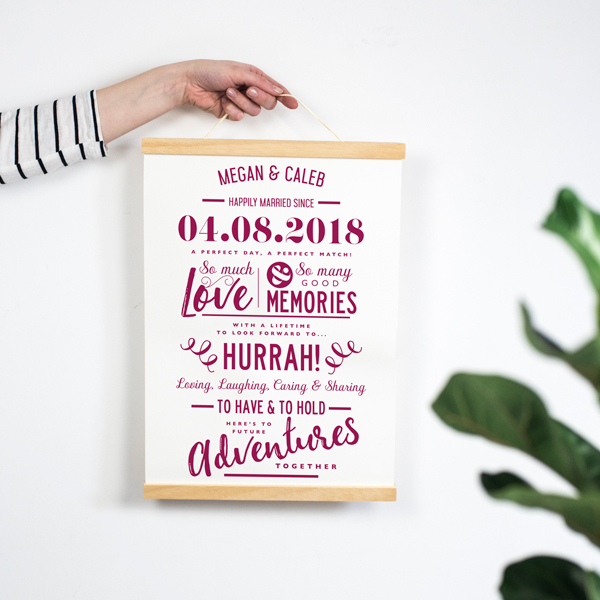 To personalise your print, tell us the names to appear on the top line, followed by five significant dates, with a line of wording under each. The dates on the print could be any of significance. For example, the first date, the engagement, the marriage, a moving house date or the birth dates of children. Use your imagination to make this print wonderful and unique to you or the special couple you are buying for.